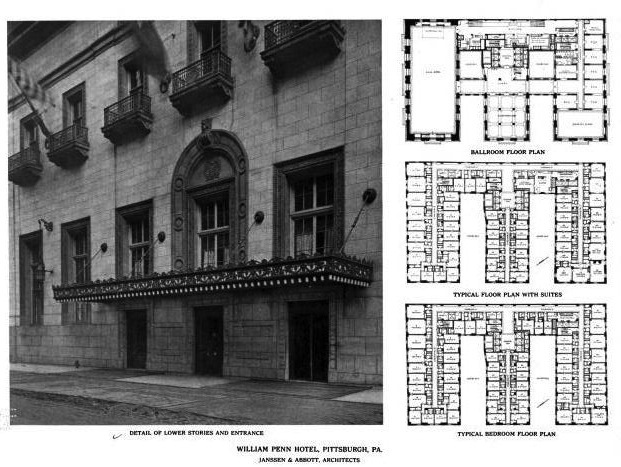 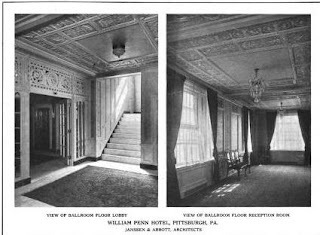 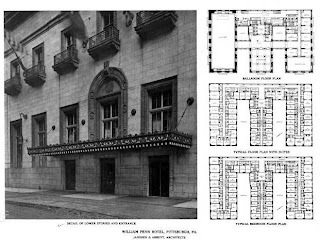 The William Penn Hotel designed by Janssen & Abbott c. 1916 in Pittsburgh, Pennsylvania. 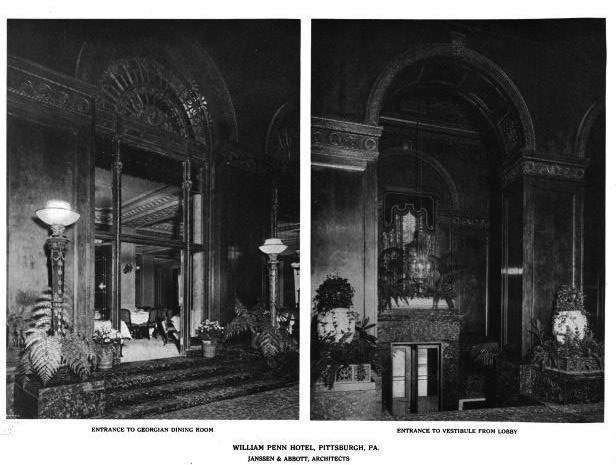 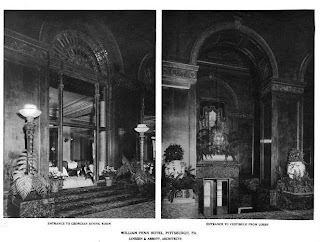 The hotel was commissioned by Henry Clay Frick to bring a large, modern hotel to downtown Pittsburgh. 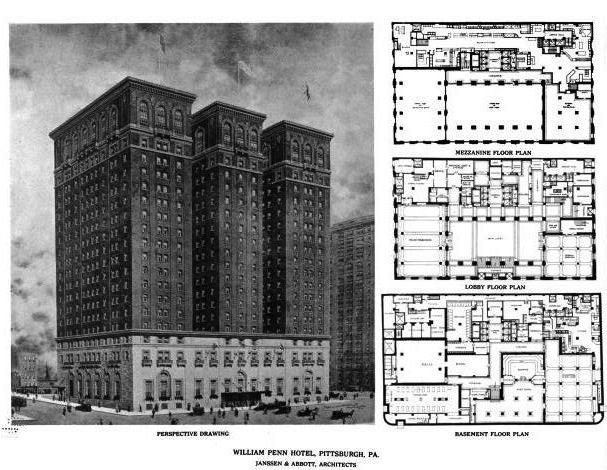 Today the hotel is operated by Omni Hotels. Click HERE to see the William Penn Hotel on google street view. 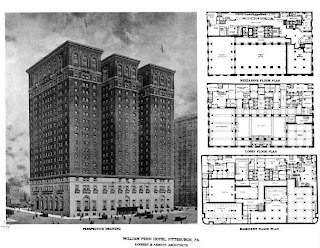 Being from Pittsburgh, this is one of the great hotels to this day of the city. 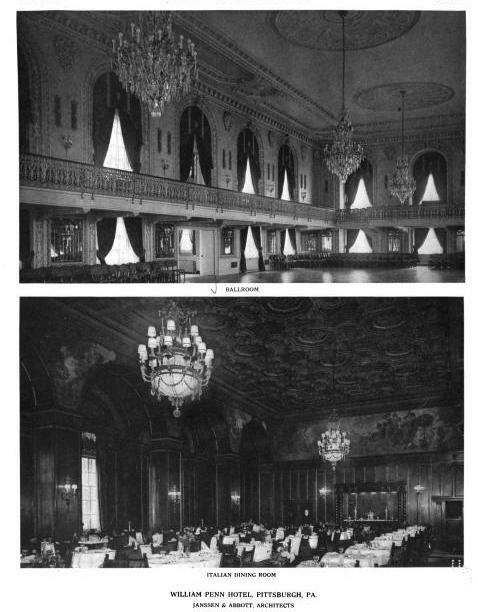 my parents were married here, had their proms here, and I've since stayed in the hotel many times. 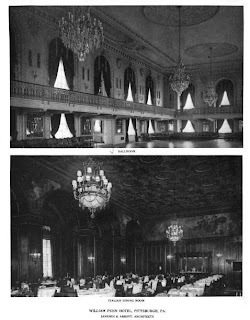 It's in need of a renovation but it's still a glorious hotel and one of the crowning jewels of the city!